This week, Algerians will head to the polls to vote for a new parliament – while really they are only obsessed with the president’s health and the surge in prices on local markets. The government, on the other hand, has its own obsession: voter turnout, which it wants to be massive. Its desire for a massive turnout is so great that threats against parties calling for a boycott have piled up. The wali (prefect) of Algiers called the boycotters h’raymiyya (dishonest), an Islamist deputy called them disbelievers, and the minister of communication forbade them from expressing themselves in the media. Members of the executive power have gone as far as speaking of the boycott as a “serious attack on the stability” of Algeria. What next? A call to crucify all those who reject these elections on the Martyrs’ Square in Algiers? Beyond the results, it is voter turnout that will decide whether these parliamentary elections are successful or not. For the authorities, it is imperative to exceed the 43.13 percent turnout rate recorded during the last parliamentary elections in 2012. At the time, President Abdelaziz Bouteflika said they were “as important as the outbreak of the 1954 Revolution”. In fact, the turnout of the 2012 legislative elections was the lowest since the independence of Algeria. But pay that no mind: the secretary general of the ruling National Liberation Front (FLN), Djamel Ould Abbes, is optimistic, forecasting a turnout on Thursday of more than 50 percent. Remember he is the same Djamel Abbes who announced late last year that the ailing president would soon be back on his two legs. Even within the opposition, parties such as the Rally for Culture and Democracy (RCD, secular) or the Movement for the Society of Peace (MSP, Islamist) focus their campaign on the need to vote “in order to strengthen the legitimacy” of the next parliament. 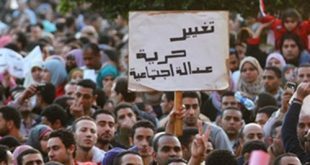 For the sociologist Nacer Djabi, the Algerian system “exaggerates its attachment to elections as a political solution, without creating the conditions for political dialogue and consensus, which are essential ahead of elections. This is why the elections serve only to give a fragile legitimacy to the system for the attention of foreigners”. The election is an important moment, not for the candidates or the voters, but for the political system: it can reinvent its own legitimacy, operate like a normal state that runs to democratic rules… at least for the duration of the election campaign. 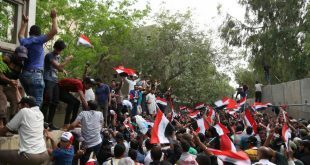 Between electoral campaigns, the state media and the public spaces are forbidden to the opposition. So the election is a testing moment for the system because it gauges – even in an artificial way, since the figures are often exaggerated to the limits of the possible – the adherence of the masses to its political project. However, except for the older electorate and the Algerian community abroad (which votes above all to assert its “Algerianism”), the political base is fast diminishing. This turnout obsession is therefore rooted in the rulers’ lack of legitimacy. And the frequent manipulation of the turnout rates by the administration – at the risk of exposing itself to internal and international criticism – is necessary. This is the reason why the electoral register, a tool for recalculating the percentages of voters, remains a state secret that no supervisory authority, no party, and no mandated observer from the UN or the EU can consult. Through this perverse activity, participation falls, and the fraud which tries to produce rates likely to be deemed acceptable by the authorities only reinforces abstention. But this is hardly the only reason that voters are deserting the polling stations. “The last time Algerians really voted, they were told that they voted badly and the government simply cancelled the elections,” an Algerian political commentator recently said, referring to the cancelled legislative elections of 1991 that almost gave power to the Islamic Salvation Front (FIS, dissolved in 1992). “So why vote?” the commentator asked. 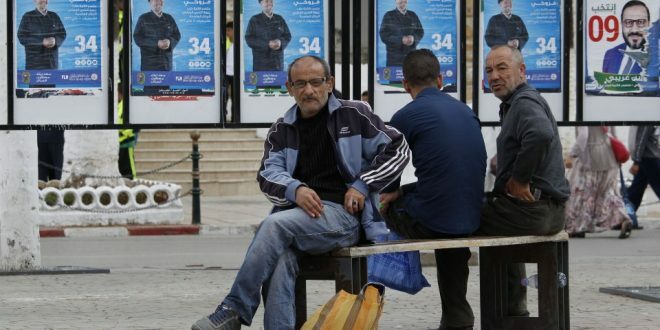 Worse, the legislative elections, said sociologist Zoubir Arous, “have always been presented as an opportunity to solve the population’s social problems. In presenting the parliament as an executive power, a false picture is presented, whereas in the light of past legislative elections, voters understand that this will not change anything in their life”. Moreover, most of the Algerian people, especially the younger generations, do not see themselves in the chimerical programmes of the parties: these same parties are convinced that political change is impossible in a semi-authoritarian system, thus losing the necessary credibility to address voters. In fact, public authorities are trying to fight against a high abstention rate which they themselves have fostered. It is a vicious circle in which the Algerian political scene has been struggling for decades, since “the system’s only concern is to create fictions that win the support of a rent-seeking political class as well as foreign partners permissive in the name of anti-Islamism,” according to the off-the-record remarks of a former prime minister. It’s a “fiction” which ultimately serves only to create a new political ecosystem that is sufficiently varied and capable of absorbing the shock generated by the presidential scenarios: either the brutal disappearance of the head of state or – unlikely, but an option which should never be excluded – a fifth term for a president so physically diminished. This projected ecosystem, with a new People’s National Assembly from which a “national unity government” will result, will need strong popular “legitimacy” to create the illusion of national consensus around the plans for the post-Bouteflika era, or for Bouteflika himself eternally.